Sir William Napier Shaw, M.A., LI.D., Sc.D. F.R.S., died at his home, in Old Brompton Road, London, on Friday, in his ninety second year. At one time Director of the Meteorological Office, Sir William was born in Birmingham and educated at King Edward's School. Birmingham. Emmanuel College, Cambridge, of which he was a Fellow, and Berlin University. As a scientist, he had an international reputation - but it was as a meteorologist that he was best known to the general public. After holding lectureships, he turned his interest towards meteorology and was elected a member of the Meteorological Society in 1897. He became its secretary in 1900 and was appointed Director in 1905, retiring from the position in 1920. It may be said that meteorology really came into its own during the last Avar. From being something of a Cinderella of sciences its status grew war operational work was guided here and there the weather and the forecasting of it. Sir William's retirement was pending in 1915, but the importance of his work at the Meteorological Office kept him there until 1920. He was knighted in 1915; while, among the complimentary degrees he held, were those of the universities of Aberdeen, Edinburgh, Dublin, Manchester and Harvard. He wrote a, good deal, contributing papers-to scientific publications and compiling books on meteorology and weather lore. Among them were a Manual of Meteorology (1919), Forecasting the Weather (1911), “Air Currents and the Laws of Ventilation” and “The Life History of Surface Air-Currents (in collaboration). 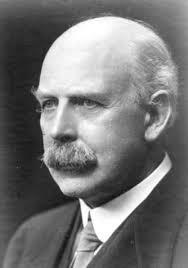 Also in collaboration, he wrote The Smoke Problem of Great Cities.” For his researches into meteorological science he was awarded the Royal Medal of the Royal Society and the Symons Medal the Royal Meteorological Society. The funeral service was at St. Stephen's Church, Selly Hill, Birmingham, and the interment at Key Hill Cemetery.